This series was shot entirely on location, in and around the scenic Ring of Kerry in south west Ireland, which provided Alwyn and June with some fantastic landscapes and scenery to paint. 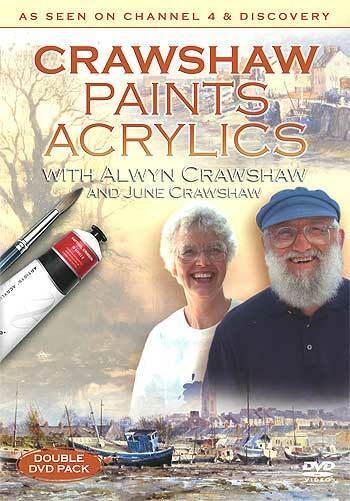 Acrylic paints combine the best aspects of oil and watercolour, as well as having their own unique qualities. Alwyn and June each paint the same scene, the village of Caherdaniel in Co Kerry, to illustrate the different effects which can be achieved using acrylics. To demonstrate the importance of scale in a picture,Alwyn and June visit different locations to paint cottages and mountains, with fascinating results. sketching. Flowers and boats, mountains and waves are their chosen subjects. Overlooking the village of Sneem,Alwyn demonstrates how to turn a potentially difficult subject into something more manageable.